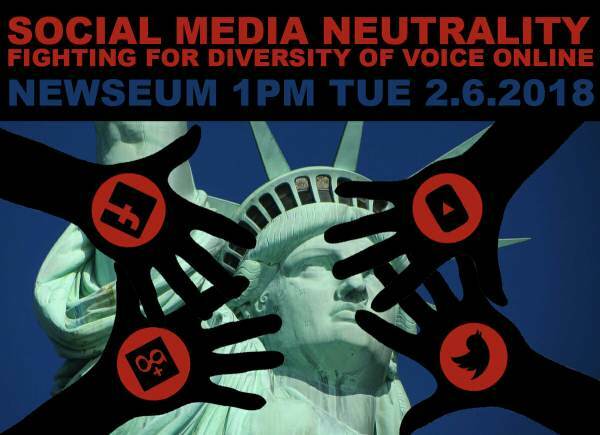 Washington, D.C. – On Tuesday, February 6, 2018, at 1:00 pm (ET) at the Newseum in Washington, D.C. thought leaders and prominent voices in alternative media will gather for a panel discussion on social media neutrality and the fight for diversity of voices online. The event will feature several prominent online conservative and moderate voices who have been impacted by social media bias, shadow banning and other methods meant to silence voices and limit readers and viewers access to information. Panelists will discuss political bias by Twitter, Facebook, YouTube and by search engines such as Google. Must register for tickets to attend. A Harvard University study published on August 16, 2017, analyzed both mainstream and social media coverage of the 2016 election cycle. The study clearly shows that modern conservatives in America today have wholeheartedly rejected the liberal mainstream media. The 2016 election cycle was the first election cycle where conservatives used alternative media news sources to gather information rather than turning to traditional mainstream outlets. Conservative Americans abandoned the mainstream media in 2016 and will not be returning anytime soon. 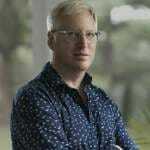 This paradigm shift forced left-wing tech-giants to take action. Tech giants today understand they have the ability to influence what information consumers see through their complex, and non-public, algorithms. Often this power is abused. Several conservative outlets, and countless individuals have been targeted, shadow-banned, and silenced by these tech giants. By silencing these voices, big-tech is limiting information available to the American public and is a direct assault on First Amendment rights. The time for transparency is now! Tuesday’s panelists include Jim Hoft of The Gateway Pundit, Pamela Geller of The Geller Report, Margaret Howell of Rightside Broadcasting, Oleg Atbashian from The People’s Cube, tech entrepreneur Marlene Jaeckel and special video remarks by Michelle Malkin and James O’Keefe. Panelists will discuss their experiences with social media targeting, the impact it has on the American public and the chilling effect on free speech. The Newseum is dedicated to free press, free spirit, and is a non-partisan foundation that champions the five freedoms of the First Amendment. All opinions, both left, and right, should be heard. No organization should have control over what any segment of the user base sees or does not see. For further information, interview requests or press credentials please contact: [email protected] or visit TheGatewayPundit.com for updates.